Remember how you used to play house as a kid, back then you didn’t have your own little kitchen to play in. 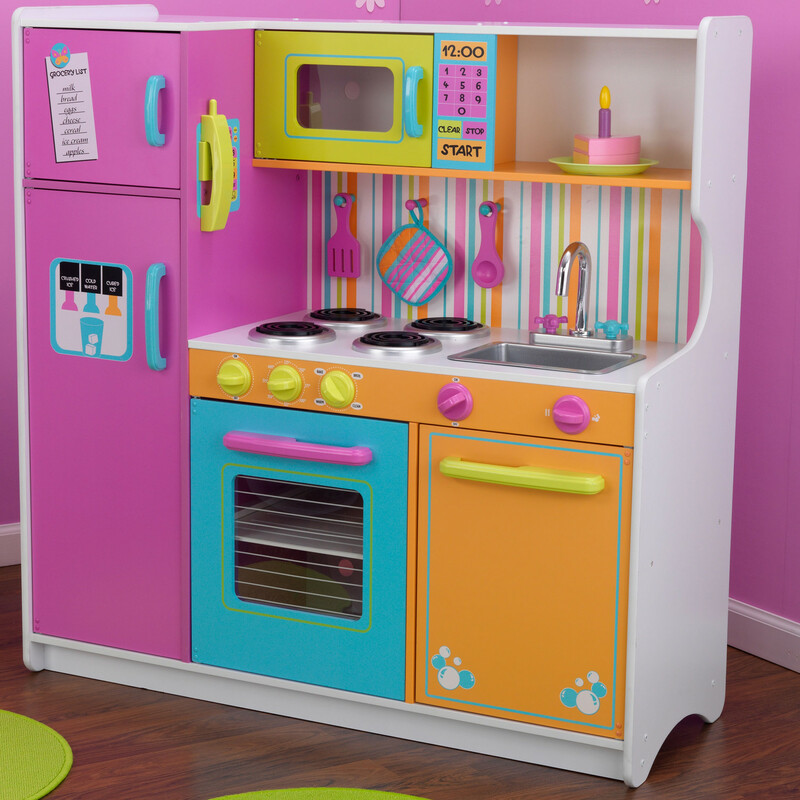 Times have changed, and now your little one can play house with their own little kitchen! Indigo Chapters Canada currently has the KidKraft Deluxe Kitchen set on sale for just $100, down from their regular price of $249.95! That is the lowest price I have seen KidKraft’s kitchen sets for, Walmart has a similar one for $171.94, Toys R Us has a smaller KidKraft Gracie kitchen set for $159.99, Amazon is selling the exact same set for $485.33! Indigo‘s price for this set is well below other retailers. This set is great for ages 3 to 5. Indigo Canada online does usually offer free shipping on orders over $25, but since this is a larger item, shipping rate will vary depending on distance for delivery. I live a little north of Toronto, and standard shipping for me was $19.92. Click here to get Indigo’s KidKraft deluxe kitchen set. Click here to check out other online deals for Indigo.